The Love of God is beyond calculation, yet, we often measure life in black and white. 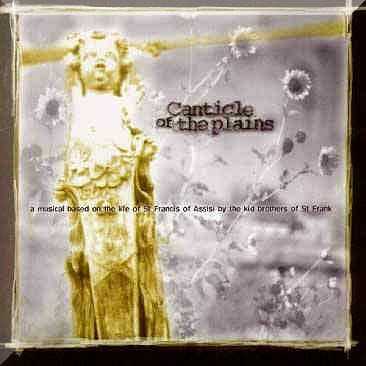 This album explores the grey of life and love. "The Grey (When Black & White Fade)" is both a response and a result. It is a response to God's grace and it is the result of the Lord's activity in my life. It is a response to the availability of the Kingdom of God and it is a result of walking through the Kingdom as best as I can. It is a response to the many great people that have been involved in my life and it is a result of their investing themselves in me. 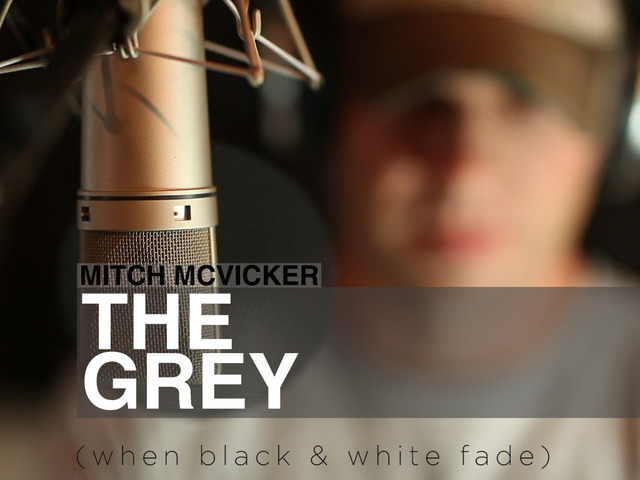 "The Grey (When Black & White Fade)" will consist of 10 or 11 songs. It is my goal to release it on September 16, 2014. Why is the album called "The Grey (When Black & White Fade)"? Jesus spent a lot of time and energy talking of the vast, all-encompassing Love of God. In Jesus' world, life is lived from the heart, soul, and spirit. Jesus speaks of life being fueled by grace and led by love. Calculating our actions, and keeping track of ourselves and everybody else, merely seems to clutter the space in which love moves. Living in the grey of the Kingdom of God is not a way of saying anything goes. It's not an excuse to do whatever we please, whenever we want to. I think the grey love of God beckons us to examine the motives of our actions. If you are like me, in the past, I have far too often colored within the lines simply because the lines were there. Living out love wasn't necessarily my motivation. I did the "right" thing because I assumed it is what I ought to do. With each day, I am know setting out to be guided by the Love of God. Being led by love is a lot more scary, ambiguous, and, yes, grey, than following the steps that have been laid out before us...simply for the sake of the steps. For, that way is safe. It is easy and comfortable. But it isn't the call. Looking at the world in black and white invokes hard lines and borders. Grey is wide and vast. A black and white approach excludes. Grey's haziness is all-encompassing. As many of you know, I began doing concerts with, writing songs with, and being roommates with the late, great Rich Mullins. I believe that Rich was one of the best singer-songwriters ever. I was fortunate to spend a few years trying to glean as much from him as I could. Rich believed in me. He shared his knowledge, expertise, and insights with me and pushed me to become who I am. I was in the car wreck that killed Rich Mullins. The wreck put me in the hospital for a long time...as I was in a coma with a severe closed head injury. I had broken bones and collapsed lungs. I was afflicted with double vision and the loss of my voice. It took years to recover, but I finally did. Though I miss my friend Rich greatly, thankfully, I have been able to continue doing music. Therefore, I am going to go all out. I want to make something good. I don't want to just go half-way with anything while making "The Grey (When Black & White Fade)". I have invested much of myself in this recording. I am very wrapped up in it...creatively, monetarily, artistically, and musically. I am determined. Creating "The Grey (When Black & White Fade)" is something I WILL do. It's something I HAVE to do. It's something I MUST do. I am trying to become the person the Lord is creating me to be. Therefore, I will...I have to...I must. I have set a goal of raising $9,000 to record and release the album. This is the basic minimum needed to make sure this happens. This amount will get the project off the ground and ensure that it becomes a reality. In finically supporting the making of "The Grey (When Black & White Fade)", you are not merely investing in the record monetarily...you are taking ownership. You will get a "reward" out of the deal. However, your graciousness will far surpass what I can give you in return. "The Grey" will not happen without you. It will not be everything it could be apart from your involvement and support. We are in this together. In creating "The Grey (When Black & White Fade)", we will, together, make something good. It is my prayer that this album points you towards the very real things we have to hang onto as we walk through this life. Over the past number of years, I have done 1500 concerts in 49 states and 13 countries and have recorded 9 albums. I have been driven to do concert after concert, travel mile after mile, write song after song, and make record after record. Day after day. Year after year. The fire still burns. Now, I am driven to make "The Grey (When Black & White Fade)". How well I can do that is dependent upon your graciousness. Your giving and support will be the determining factor in "The Grey" reaching it's full potential. The money that is raised will go towards several things. It will fund using Greenjeans Studios; a super talented recording engineer, Carter Green; wonderful musicians, Michael Aukofer, Carter Green, and Dave Sprinkle; mixing and mastering the album; and the design, packaging, and physical manufacturing of "The Grey (When Black & White Fade)". It will also make promotional efforts increasingly more possible. When the goal of $9,000 is surpassed, it will not only make for a better recording, but it will initiate better marketing and promotion, higher quality manufacturing, and more extensive touring. In that moment, I will be overwhelmed with gratitude. Yet, I will not be altogether surprised...based upon the level of gracious support I have received in the past. So, once again, what "The Grey" becomes will be determined by your "givingness". I believe in this recording and the notions and faith that are expressed within it. I believe the songs of "The Grey (When Black and White Fade)" will speak. It is my prayer that this recording pushes you from the black and white by which we like to measure life, and towards the immeasurable love of God. Thank you for considering partnering with me in the making of the "The Grey (When Black & White Fade)". February 6, 2014 an interview by Rick Moore did. We were sitting in a fuzzy's taco shop in Dallas. I2. I think your last album, "Underneath", was your best overall collection. Do you ever feel pressure to make the next album as good as the last one? I don't know that I feel pressure…but you're always wondering if you have anything else to say. I guess you're always hoping to grow as a person and grow as an artist. I am kinda glass-half-empty more than I would like it to be. I go, do I have stuff to say? Am I still growing? I know I dumped more into this last record than I think I have before. I am not slighting any of my previous records. Each time you do one you feel like you dumped your whole self into it. But with this one, I can't imagine dumping more than I did. So I go, can I do that again? Will I get the opportunity to? Will the Lord see fit for me to do another record? Will it be the best decision for my family? So those are all the questions. So it's not necessarily pressure…but definitely questions. 3. 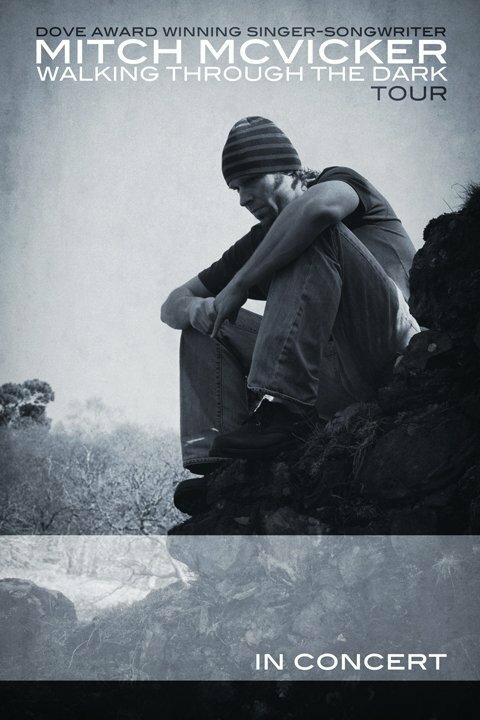 You're in the upcoming film 'Ragamuffin', based on the life of Rich Mullins. How did it feel to dive into all that again, particularly knowing how painful your recovery was. Parts of it were hard, but, really, I don't think it was very difficult for me to do it. I've always wondered why I don't seem to be grieving, or having a hard time with things, like other people are. I went to the movie's premier, and so many people were impacted by the movie. It was powerful for them and it was so hard for them to watch some of it. Afterward I heard from people, over and over, "Wow that must have been so hard for you to do that. It was so brave of you to be in that...the filming of some of the stuff in there". And really, it wasn't. Sometimes I found myself asking, what is wrong with me, what is wrong with me? I talked to a friend of mine who is a psychology professor out at Fuller seminary in California. And I was telling him about this. And he said "Well I don't find that odd at all. There's nothing wrong with you." He said "When the wreck happened, it hit people hard. But the next day they went to the grocery store. You've been dealing with this every day for the last 16 years. So the movie is not going to hit you as something you haven't been experiencing all along. It's hard for these people because they're experiencing it all over again." Some of the stuff Rich said, which I heard often in concert, didn't hit me like it hit people who had never heard it before or were hearing it again for the first time. The wreck scene was so hard for people that were experiencing it like new, some 16 years later. But it's been with me…it's nothing new. I was very close to the filming process. So as i was watching the film, I found myself going "Oh Ok I remember this. Or oh so that is how that scene was pieced together." And then of course I was very close to the actual events. So I watched the movie from a different viewpoint than a lot of people. This movie wasn't really for me, anyway. So I don't deserve to have much of an opinion on it. I'm just grateful that it's impacting people and moving people. Is it accurate? No. There's plenty of it that's not accurate. But is it true. Yes, the essence of the movie is spot on. I was talking to a friend, and it came up…would Rich want a movie about him to be accurate or to have an impact on people. He would want it to impact people…I have no doubt that would be his answer. Well, that's what it's doing. The essence of the movie is spot-on true. It's just trying to tell Rich's story in 2 hours…things have to be finagled a little bit. So it was hard, and emotion would sneak up on me when I least expected it. But I guess it wasn't any more difficult than several things that I do each day. 4. So that ties into my next question, which is, did you feel the movie painted an accurate depiction of Rich's life? The timeline was fudged with a good bit. They had a monumental task to turn it into a two hour movie and they did an unbelievable job. It's a great piece of creative accomplishment. I wish the lighter side of Rich's personality had come through a bit more. But when I think about it, I go, well, not only did they have to squash the movie chronologically, but they had to do that with Rich's personality, too. The message they were trying to communicate called for certain aspects of Rich's personality to be focused on more than others. I think everyone needs to remember, or realize, that Rich is much much more than this movie. And, for me, the timeline sequence, and the ages of different people in the story, don't make sense. But I don't think the person watching the movie, and being impacted by it, is really concerned about that. I don't think they care. The movie is definitely revolving around Rich, his struggles, his relationship with God. And, therefore, the movie is revolving around God, and God's relationship with all of us. It's dealing with God's relentless pursuit of us. So some of the accuracy gives way to that theme…and that's for the best. 5. Was it fun playing yourself onscreen? I don't think it was fun…(laughing)…I mean, I don't even know if it's fun playing myself…in real life…every day! But I'm grateful. I'm grateful to get to breathe this day and to have experiences I get to have this day. It was cool to get to be a small part of the movie making process. To get to see what goes one. I knew nothing about it. All the ins and outs. I'll tell you what...I don't know what real acting would be like. Now, some people talk about me also being an actor, and I go, "What?? I was playing myself! Does that even count??" So you know, It was nothing. There were certain instances when I was recounting, and would say to myself, "I remember this real event we're trying to get down here" So it wasn't really acting at all. A lot of it was just thinking back to what it was…and kind of reliving things. That was the extent of my acting: Reliving! 6. I've often heard that people getting into acting either love it or hate it. Are we going to see you in any future film roles? Any academy awards headed your direction? 7. Are you currently working on your next full length record? Any idea about when we might see it? It seems I am always working on the next record…though i never know if there will be a next record. Does that mean that I have any songs? No. But you're always working on ideas. I always have a bunch of "in-process" songs…carrying around a bag of melodies, chords, and phrases. I have no idea of when the next one will happen, or, IF it will happen. I know that there are no tangible plans for it to happen in the next, say, 4 months. Beyond that, who knows? 8. I know you wrote a couple of songs for the 'Ragamuffin' soundtrack, including a song that was supposed to have been written by Rich. Did you make a conscious effort to try and capture a 'Rich' vibe while writing it? Well...eventually, I approached it as a co-write. It's a song called 'Danger'…in the original script, it was a song that Rich, and the character Justin, were working on. So it's kinda written from Rich's viewpoint. After I read through the script the very first time, long ago…I wanted to document some of my feelings, and some of what I felt Rich's feelings would be, in a song. I just needed to document some of the thoughts and get those down. This was before they talked to me about doing anything for the movie. I didn't know Schutlz was gonna ask me to write a song or a specific purpose in the movie. I had no intentions of it becoming anything in the movie, but it did. Though the whole script changed…(laughing)…and so the song has no spot in the movie….(laughing). But it's in the very tail end of the credits, which is, ya know, whatever. The other song merely ended up on my last record…that's it . So I am grateful. 9. You're about to kick off a new spring tour. Who's traveling with you and how many stops so far? How many stops so far? Tomorrow is concert number 2 out of…50 spring concerts, something like that. Probably about 90% of the time I'll be solo. The rest of the time Dave Sprinkle will be playing with me. Multi-instrumentalist. Bass player, percussion player, keyboard player, guitar player. He is great. Very talented. Awesome to have around. HIs strongest characteristic is his ability to go with the flow…in music…and in life. 10. Any specific message or theme that you're trying to convey to the audience during this new tour? I'm sure there is...I just don't know what it is yet. I know, last night, I blabbed about a lot of stuff that I hadn't talked about before. A lot of times you just have to be receptive to what you'll be led to say. You have to be open and pay attention to what's going on in you and around you…and soon the message or the theme will become evident. It always happens. I don't even know that I have a very good idea heading into it of what that might be. There are the big things that I hang onto. The faithfulness of God persisting though our rough difficult stuff. There is nothing we can do good, nothing we can do bad, that can alter our standing before the Lord. That kind of stuff. That Jesus saves me from myself. That I'm completely trying to live in the kingdom of God and, then, how that goes against living in our society, and living in our culture. So those are some things that...whatever message I have, whatever songs I have, whatever I have to say…hopefully will come out of who I am. I have one pool to draw from. And everything I do comes from that pool…whether that's folding clothes, dropping my kids off at school, doing a concert, or, you name it. I have one pool to draw from. Like brother Lawrence said "Do all things unto God" Those are words that have become kind of cliche, but if you mull those over that's a big big thing. soon. 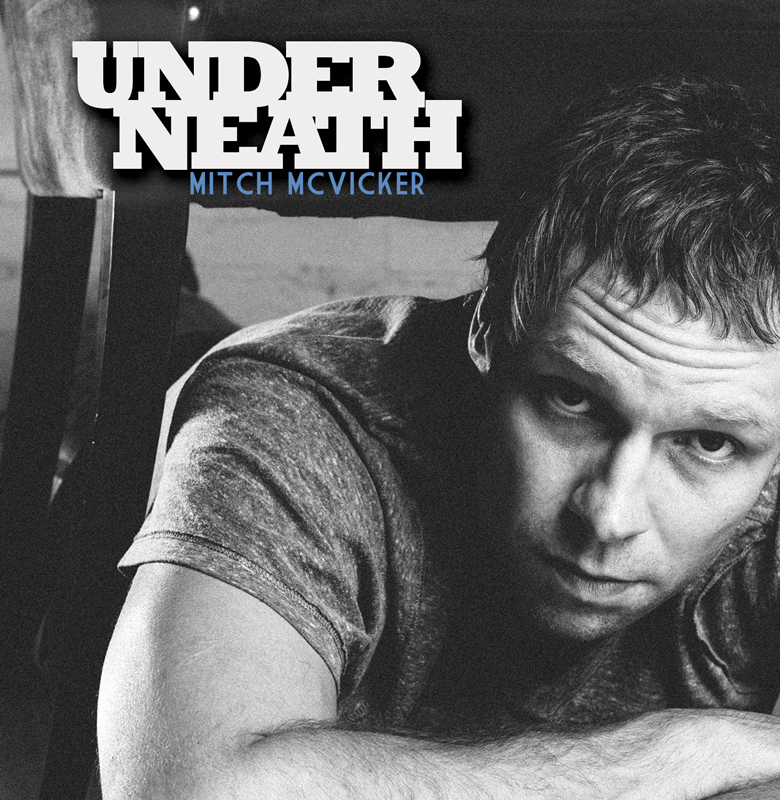 "Underneath" will be out February 22. I believe in "Underneath". I believe you will like this album and like being a part of it's creation. In making a financial donation in support of "Underneath", you are not merely investing in the record monetarily...you are taking ownership. This is your album. I will do my very best...but this is yours. We are in this together. Nothing that I have mentioned above will be done half-way. I have been entrusted to do this, and like I said, I want to do the best I possibly can. But, this is yours. To one degree or another, we are all walking through the kingdom of God...which is not on he surface...just like this recording. I am recording "Underneath" at Greenjeans Studios in Kansas. I am benefiting from the wonderful musicianship of players; Michael Aukofer, Carter Green, and Dave Sprinkle. I have no doubt that "Underneath" will be as artful and creative as anything I have done...maybe more so. These guys are all accomplished multi-instrumentalists. We are coming together from all over. Michael is coming from his home in Chicago, Carter hails from Kansas, Dave is coming in from his home in Arizona, and I will be coming from Atlanta. I would be moved to partner with you in the creation of "Underneath". Many of you have been super supportive of me in the past...and I am so very grateful. I am trying something new. I just released a mini-CD called Everything Shines. It is a 3-song CD, and it is not a "pre" to something bigger. It is it's own thing. Sonically, it is as good as the longer CDs I have done in the past. Everything Shines, is made up of three new songs that I have no intention of recording again. So, there is nothing more coming, except for the next mini-CD. Mitch McVicker wants to be renovated. McVicker wanted to express his need for renovation, through his music. Quite by chance and very quickly came an opportunity to do just that, in his latest project, a three-song-mini-CD, "Everythng Shines". The recording process was simple, yet powerful. 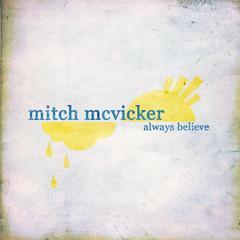 The mini-album was recorded in three days, with just McVicker and engineer/musician, Carter Green, in the studio. 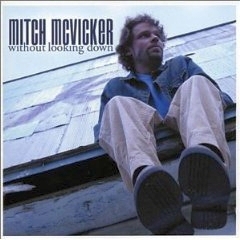 McVicker wrote the songs for, produced and directed, sang leads and back-ups for , and played most instruments for this new project. The album was recorded in the dusty, rural farm town of Wellington, KS. "When I record in Wellington, I am not distracted. The only thing to focus on is the music," McVicker remarked. 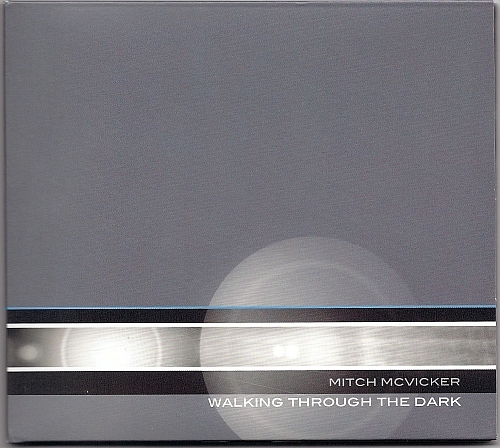 McVicker stresses simplicity in his solo ministry and on this album. He plays an array of various guitars, harmonica, ukelele, and creates percussion loops using everyday household items and mouth percussion. "During the recording of this albums, we cut through the fluff and let the songs really speak," McVicker said. The songs in the album stress the need we all have for being renovated , daily, in our walk with Jesus ("Renovate Me"); making the best of life in-between being able to lead a full and productive life and being called "home" to be with God ("In-Betwee Time"); and knowing that, although we are "microscopic" in the vast scheme of things, we can be thankful that we are all "big" in God's eyes ("Microscopic"). Aug 25, 03:04 PMAlways Believe will be released on September 8 (I know, I know…nothing like letting you know at the last minute…but I wanted to make sure everything was lined up and going to happen for sure). I have never been more excited about a CD, and the possibilities that come with it’s release. It has taken a while, but everything has come together in a way for this to truly be a great situation. Always Believe will be released through Out of the Box Records and distributed by Bema Direct. As of Sept. 8, it will be available at all concerts and at mitchmcvicker.com (which is being revamped as we speak, and will reflect the themes of Always Believe very soon) It will be available at major Christian bookstores (and many not-so-majors…as I would have it no other way) and on all internet digital music sites (such as itunes, etc) by mid to late September. As I said, I am excited. This CD means a ton to me. I believe in the songs. I believe in their message. I believe in the music. I believe in the artwork. I believe in the making of the whole thing. The recording process was a beautiful experience filled with hard work and creativity. The process of God-making-us was laced through the whole project. Always Believe was my first crack at producing. I co-produced it with my great friend Michael Aukofer. We decided to record in a small, but stunning, studio in the little rural Kansas town of Wellington. It was the most creative process I have ever been a part of. Always Believe’s first radio single, “Goodness”, will be released in a couple weeks. You can support the cause by contacting your local, or favorite, station and requesting the song. As I have come to find out, and many of you also know, getting a song played at radio is a huge, steep mountain to climb. 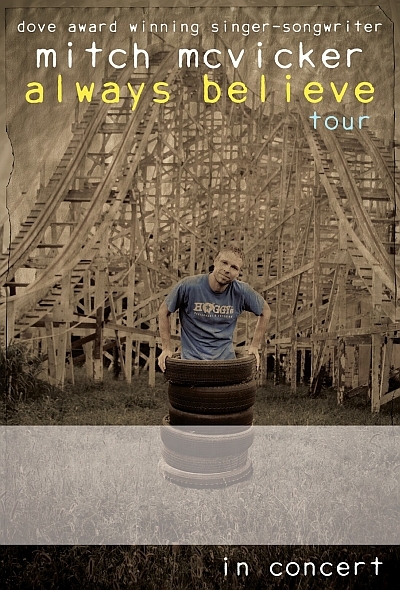 On September 10, I will begin the Always Believe Tour, which will coincide with the release of the CD. I would love to see any and all of you at a concert somewhere along the way. You do what you can, ya know? I am just trying to remain faithful to what the Lord is doing in me…and keep moving forward. From the start, my prayer for this record has been that it would be a kingdom success. That seems like an oxymoron, doesn’t it? But probably only in as much as it is vastly different from what the world calls successful. Let me say it again, I am excited about Always Believe. I can’t wait to share it with you. We are all in this together. I couldn’t do any of this apart from your support and your prayers. I am in the process of finalizing the tour schedule for this fall. I will be doing 35 concerts as the tour will take me to 15 states and Canada. I am greatly looking forward to getting to do exactly what I need to do at this time in my life. Who knows how long the Lord will see fit for me to continue to do this? But, right now, there is nothing else I would or could do. This is what I am "set up" to be doing. Things are going very well on the 2008 spring leg of the Love Will Rise tour. We have just had a couple days off to catch our breath after doing 5 concerts in four days to begin the tour. We begin again tonight in Marshalltown, IA. I believe we (Adam Jeffrey, Matt Wilson, Kevin Synan) are doing something really good. I am working hard to point people towards Jesus with these concerts. I think the message is going forth. We have one more week left before we all get to go home for a few days. It will be a blessing to get to be around my precious family. Presence is a powerful communicative force. While I am grateful for the various means of communication that are available to me to use on the road, I have learned that phone calls, emails, and text messages fall way short of being in the same place at the same time. Please pray for me (for all of us) as I continue to move forward, regardless of circumstances, and attempt to make a dent for the kingdom. Your continued support means a ton to me. It is a great honor to partner in ministry with you. I have some exciting news to share. It is my hope and prayer that it is also exciting for you. It is now possible to make a tax-deductible contribution to my musical-ministry endeavors. This means that upon making a donation, you will receive a receipt for your tax records. I recently became one of the charter members of CIA (Christian Independent Alliance). It is through the CIA website that your contribution is made. CIA is set up as a 501c3, therefore donations are tax-deductible and receipts can be issued. Your contribution does not go to CIA's general fund. Rather, the money goes into an account that is designated solely for my ministry. This way all the contributions are accounted for, earmarked for ministry-oriented use, and sent to me. We will truly be partners together in ministry. Over the years, many of you have been financially supportive through your generosity in many ways without having record of it. Now this is possible through an exciting development. In the past, I have been unable to develop a scenario to make tax-deductible support possible, now CIA is simply enabling me to present this as an option. Just click on the link at the very bottom of this mailing (I am cyber- challenged, so if I have failed to enable this function, just please type in the address). You will be taken to CIA’s home page. Go to the top of the page and click on "members". I believe I am the first member listed. Next to my photo, at the end of the short paragraph, you can click where it says "donation". (You do not have to be a PayPal member). This site is very user friendly, and I can really appreciate the short amount of time that it takes to fill out the simple form and complete this process. It only takes a minute. A little background about my situation…to hopefully bring some clarity to the reason I am asking for your financial support. For all intents and purposes, I am independent. This is nothing new, rather, it’s the position I have been in for most of my career. I funded my latest CD, Love Will Rise, and gave it to Surrogate Records in return for promotion. Their role was to promote Love Will Rise in ways that I could not. As many of you know, Surrogate Records and has been unable to put what they had committed to and intended to into the life of the CD due to financial difficulties. Please understand that I am NOT badmouthing Surrogate. I am thankful for our relationship and for the hearts behind the company. Many good things are happening for Love Will Rise in the worlds of radio and publicity. It costs money to keep that momentum going. Surrogate introduced me to those "worlds" like never before, but now I am funding those pursuits myself. This (along with the general operating expenses that have always existed) has motivated me to call on the generosity I have experienced from so many of you in the past. This is my vocation. I have no other source of income. This is an investment in me. I take that very seriously. Why? Because it is actually an investment in what the Lord is doing. The Lord has given much. The Lord has entrusted me with gifts. 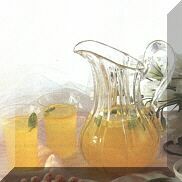 Now, you are coming along side me to encourage and enable my response to God's faithfulness. Your tax-deductible support can be a one-time donation, or it can be long term. If you are willing to commit to making a contribution each month, each quarter, bi-yearly, yearly, etc, simply respond to this email and let me know of what you are willing to invest and what time frame you would prefer to use. A reminder email (that will double as a general update) will be sent to you at the first of each month. This is not in the name of business. Rather, it is in the name of being faithful to what the Lord is doing in me. I am not interested in riches or fame (If I were, I would find something else to do). I am trying to make a dent for the Kingdom. The world is used by money. Contrarily, the Kingdom of God uses money to further itself. It is for this reason that I believe money is even more important in the Kingdom of God and needed even more than it is in the world. I want to be about the building of the Kingdom. It costs money to make a dent. We are told in the scriptures that the return is a hundred fold. I would be honored if you came along side to partner with me in this work. God uses us all in different ways. I am ecstatic to be used in this manner. God calls us all in different ways to different things. I am grateful for the Call. I don't use the word “call” in a hyper-spiritual way, but in the way Frederich Buechner defines the word. He says, our call happens when the world's greatest need and our greatest joy meet. For me, that's it. I know the last thing the world needs is another Christian musician. But, I DO KNOW the world needs the truth. I am using the means I have been given to put the truth out there and direct people's attention towards the truth. I love doing this. I am grateful for whatever you can contribute to what I am doing…for whatever you can contribute to what the Lord is doing. P.S Please contact me if you have questions or concerns. An update on my life: it has been real good, AND real busy. I had a great 55-concert tour last fall after my latest CD, Love Will Rise, was released in September. A good amount of positive momentum was developed in doing the concerts, and awareness is still being created for LWR in stores, and on radio. As always, concerts are foundational to what I do. I was grateful to see many familiar faces on the road this past fall…and ecstatic to meet many new friends. There is no replacement for word of mouth. I am grateful for the warm support of so many. We are all in this together and I couldn’t do it without you. I consider each and every one of you a partner. My purpose in doing this undoubtedly comes from the Lord, but I am energized all along the way, throughout this journey, by your words, hearts, and continuous signs of support. In a few days, look for some exciting news about how we can further partner together in ministry. My family continues to grow. I continue to be blessed beyond measure. Paula is wonderfully beautiful. I think she is even busier than I am. It’s amazing how she pulls everything off while remaining upbeat and positive. Brooklyn is nearly 2 1/2. She is a glorious little person. She puts the bounce in my step and the rhythm in my song. Jordan (14) is becoming a thoughtful, fun-loving woman right before our eyes. Luke (10) is smarter than I will ever be. I’m sure he will work for NASA, or be president, or a missionary to Central America. This spring, I will embark on a 35-concert tour covering 17 states. Aside from a few solo concerts at the beginning of the tour, I will again be traveling with good friends (and wonderful musicians) Adam Jeffrey, Matt Wilson, and Kevin Synan. I look forward to seeing you along the way. A new single from LWR will be decided upon real soon. 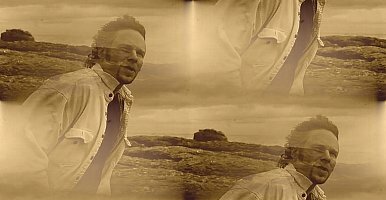 There are three songs in the running: “Along With the Rocks”, “Precious Blood”, and “Wounded One”. So, please, let me know what you think, and which one you would like to hear on the radio. “Hallelujah” was LWR’s first radio single. It had a good run and is still receiving considerable airplay. However, the growth process never stops. For me to continue to be faithful to how the Lord is moving in me, I must keep moving forward. In one small way, this means the next single is coming. Speaking of faithfulness to the Lord’s activity in my life, right now my lot is to wear many hats. I am responsible for concert bookings, management, promotional efforts, road management, and whatever comes along that requires attention. AND I couldn’t do it without the assistance of some great friends and family members. Surrogate Records has been a blessing to work with. However, the music industry is a rough and ever-changing climate. It has left the company reeling financially. I am grateful for their friendship, support, and hearts behind the business…but it has made things difficult for me. Though I am still affiliated with Surrogate and hopeful that the ship will steady, I am, for all intents and purposes, independent. It’s not necessarily good or bad, it’s just my situation. I am continuing to move forward (read above), and trying to do what I can do. I am still hoping to write good songs that are honest faith expressions, I am still trying to do quality concerts that are artful and God-glorifying, and I am praying that it all will direct people’s attention towards Jesus. There are many things in this life that we cannot control, yet the Call remains the same: to let the grace of the Lord fuel our becoming the person the Lord is creating us to be (our true-self) and to receive and respond to the Lord’s activity in our lives. And, lo and behold, we just might make a dent for the Kingdom. Sure, many things that get my day-to-day attention are worthwhile, but I often wonder how much unnecessary importance I place on various issues and situations in my life. Is worry inevitable? I have always thought it interesting that in Matthew 6.34, Jesus tells us not to worry about tomorrow because each day has enough trouble and reason to be anxious in and of itself. So, He tells us not to worry…because we have plenty of worries as it is? Confusing. Maybe it is yet another way that Jesus is telling us to live in the "now", the present, and to be completely attentive to the moment we are gifted with. Will our present troubles be alleviated? Not according to Jesus. We are just asked to not give a thought to what is coming around the bend. We are called to live out our call today while remembering that our present struggles are nothing compared to our future glory (Romans 8.18). Whatever this world throws at us is overcome because "He who is in you, is greater than he who is in the world, (1 John 4.4)." We pretty much all have the same list. We fill in the blanks with different words, but many times we find ourselves on the same hamster wheel….with the same hurried, worried, and ragged feeling. So how is it all balanced? There are errands that Paula asks me to take care of. There are concerts to book, and the tour schedule to work on. There is work to be done to the website. There are bandmembers to communicate with, songs to be arranged, setlists to figure out, tour details to compile and tour books to be created, drives to plan, flights to be booked, merchandise to be organized, emails to answer, phone calls to make, record company meetings, guitars to be fixed…And I GET to practice songs and make up new songs (that last bit is the ice cream). All this clamors for my attention. It's important, but Brooklyn just wants to sit on my lap and have a book "read" to her. She wants me to dangle her upside down, tickle her, and make faces with her. I pray I can prioritize my life to revolve around the people and things that matter. THIS PIECE OF SCRIPTURE SCREAMS TRUTH: In Luke 10.41-42, Jesus says "Martha, you are anxious and troubled about many things, but one thing is necessary. Mary has chosen the good portion, which will not be taken from her. My ever-consuming and always-occupying cares and concerns leave me with that which comes and goes, but the good portion won't be taken. The Lord remains. All the results and ramifications I experience, as good as they might be, don't stick around. The opportunity to sit at the Lord's feet is always there. He constantly wants to hang out. I want to choose the good portion. I don't want to miss out on the good that I take for granted. It is a gift to sit down in front of a meaningless sit-com with Paula (though I erroneously, and much too often, deem it a waste of time). It's a blessing to toss Brooklyn from my arms onto the bed over and over and over and over. Maybe, just maybe, by doing the "trivial" stuff, I truly hang out with Jesus. I want to choose the Good Portion. I am real pleased to announce that Love Will Rise will start to show up in stores as of next week. After a few set-backs, hold-ups, and glitches, (which is not unlike seemingly every situation in every aspect of life...huh?) many things seem to be coming together. Love Will Rise is on track to be everywhere it is going to be by September 18, 2007...the official release date. And right now...the first single, Hallelujah, is starting to get played on the radio. It would be a huge help to me if you all decided to call your local station and request Hallelujah. I believe in what I am doing, and I want the message to get out there to as many people as possible. So, this is where you all come in...I need you. We are all in this faith-walk together. I consider you all ministry partners. You play a key role in what I am doing. So, I thank you for your faithfulness to the Lord, and living in His Kingdom, with your whole lives...and I thank you for your participation in my vocational calling. points towards and glorifies the Lord. The new website, mitchmcvicker.com, is finally up and running after being in the "works" for some time. It is still becoming what it will be...so, watch for new additions and amendments daily. I can't wait to see all of you at various concerts along the way in the coming months. Remember, the unattainable Kingdom is ours...because the Lord has gone to great lengths to make it so. Peace of Christ - Mitch. 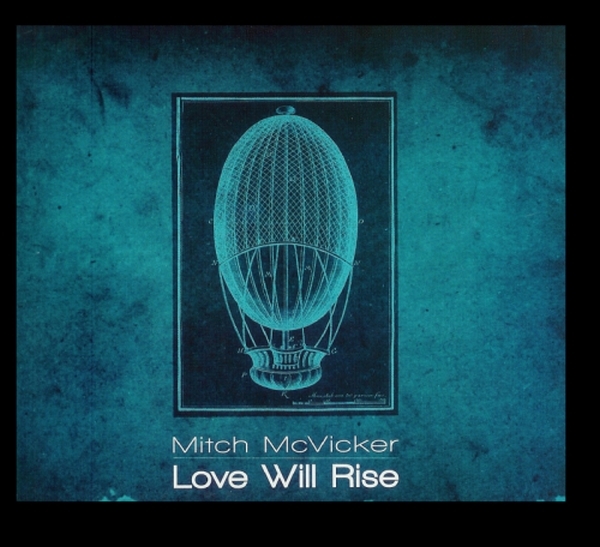 Nashville, TN (Jun 28, 2007) - Dove Award-winning singer/songwriter Mitch McVicker has announced the upcoming release of his latest CD, Love Will Rise, on September 18, 2007. The CD will be the debut project for the newly formed Surrogate Records label and will be distributed through TAG Artist Group. Weaving a theme of truth and love throughout the project, McVicker pours his heart and soul into this 13-song declaration of faith. 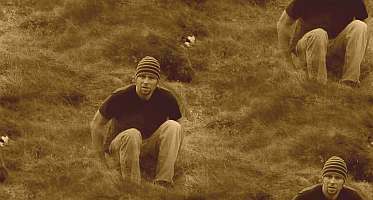 Almost ten years ago, McVicker nearly lost his life in the same tragic accident that claimed his best friend, Rich Mullins. Battered and broken, McVicker's road to recovery was arduous and laced with obstacles both great and small. Victories were often counter-balanced by setbacks, yet it was through this season of wrestling with God that he earned the right to limp. "At times I've alternately been criticized and complemented for being something of a Lone Ranger," McVicker explains. "That is still a struggle for me. But during this season of my life I've been forced to accept the fact that we all need each other. We are built for community. When Jacob wrestled with the angel, he walked away with a limp. That makes perfect sense to me now. We can't walk upright without leaning on someone else." 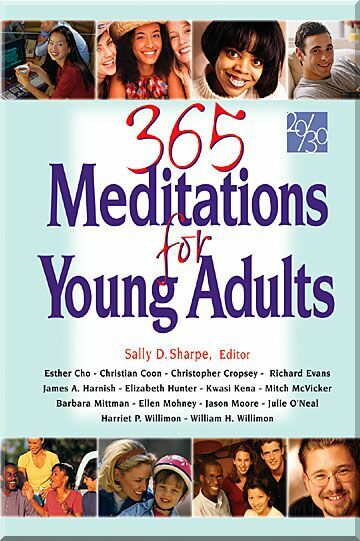 It was that realization that compelled McVicker to take a sabbatical from his rigorous 200-days-on-the-road regimen and concentrate his attention on his new family. Ironically, it was also the catalyst for a whole new collection of songs that comprise his new album, Love Will Rise. 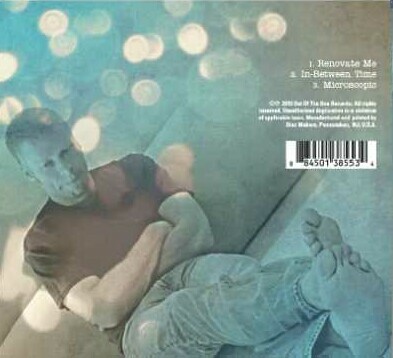 McVicker points to the works of Brennan Manning, John Piper and the Apostle Paul as inspiration for many of the songs on the album and for a number of "selah" moments in his personal faith journey. 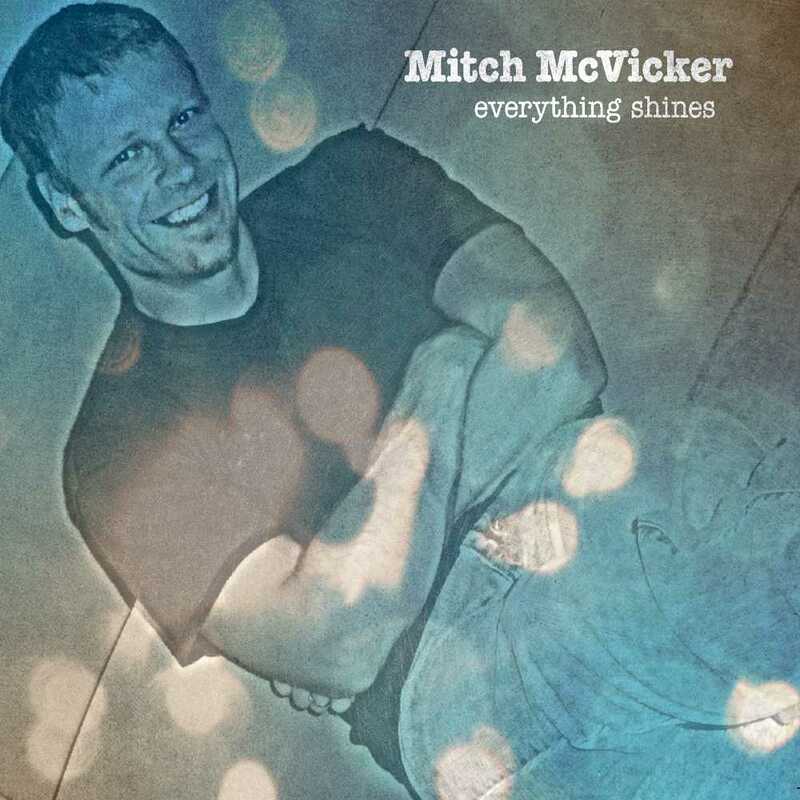 While McVicker insists he never set out to make a thematic album, when it was all said and done, there was an overarching theme that suffused every song on the project. It was about being born again, about becoming, about the all-sufficiency of love. 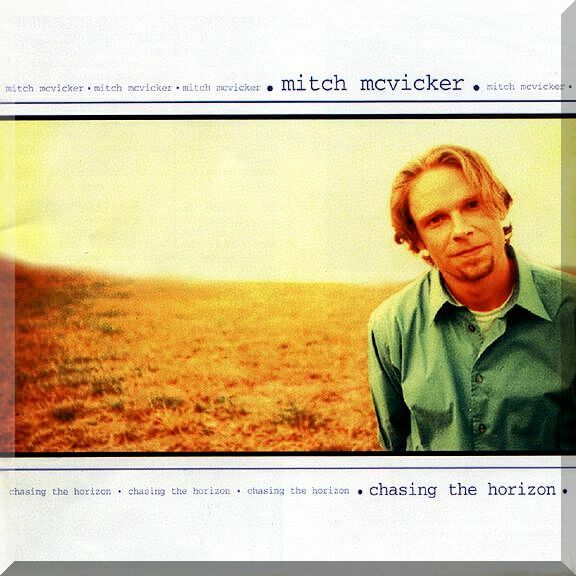 From the joyful, acoustic guitar strumming of "Hallelujah," with its gentle exhortation to "Turn your face to morning's blaze, May your day be graced by love," to the purely vertical rock worship anthem, "Wonderful," McVicker embraces the goodness of God throughout this new project. The sense of being driven by love to declare the truth permeates Love Will Rise and compels Mitch McVicker to leave the sunshine and gentle breezes of his Georgia home and the loving arms of his family and once more take to the road to share his songs with loyal fans and unsuspecting strangers. "I went from being a young, traveling, play-by-the-seat-of-your-pants kind of guy to a family man," McVicker says. "Now I've got a lot more responsibility. It has been a great growth process. But this career or music ministry, or whatever term you want to tag it, is very important to me. I believe it is a call. I know the last thing the world needs is another Christian musician. But I also know that the world needs the truth. So I'm using the means that have been given to me to see that that happens a little bit." Formed in 2004, TAG Distribution offers a home to new and established artists who are ministering on a national level and are having a national impact. As the fastest growing independent Christian distributor, TAG Distribution is home to Phil Keaggy, Ashley Cleveland, Dino, Cheri Keaggy, Bryan Duncan, Cherie Adams and Bloodgood; as well as Sean Smith, Tara Leigh Cobble, JJ Heller, Matt Brouwer, Cam, J-Roc, Matt Earl, Ill Harmonics, Clay Crosse, Randy Stonehill, John Cox, Greg Troyer and Janelle. I rejoice that You have brought me to this spot, this day. Yet, I count everything as trash that I might gain You, or, rather, as Paul goes on to say in Philippians…be found in You. Compared to You, it’s all trash. I have been given much. I have even achieved some things. But I won’t look back. No, I will move forward in faith…towards the goal (Phil. 3:13,14). What is the goal? The goal is to be like You. That means sharing in your sufferings and being conformed to Your image. Compared to You it’s all trash. I will no longer be infatuated with this world. For, what is so enticing about trash? No, i will be content. If i strive at all (and I am sure I will. It seems to be in me), I will strive forward to grab hold of Life…to grab hold of the Promise. And hang on to all that You do, and have done, to make it available and bring it about. I won’t look back…at the bad or the good. Rather, I will live in the now. I will live in the present. I want to live in Your presence. For everything that is good about me comes from knowing You and identifying with You (yes, including sufferings…maybe especially sufferings). That happens in the present, in Your presence. Now, all of my striving doesn’t come from the fact that I have achieved any kind of righteousness. It’s not because I have attained righteousness on any level. Quite contrarily, I seek to grab hold of the gift that is offered and make it my own…just as Jesus has made me His own. As I strive, I will empty and free my hands so that they can be opened up to You to receive. From now on…from the present, forward…I want to let go of all I have known and said and grab hold of what you give. Letter 6/28/98 Thailand Journal with all the links.. it's easy to miss the very, very best one.. this Journal experience that is homed at His official is a not to be missed, and revisited link. I'm moved, very, very moved by the power of the Spirit each and every time I read it.. thanks be to God! Mitch McVicker SEPT 8 PRE-SHOW 2005 AND WELCOME BROOKLYN CHANNING MCVICKER! 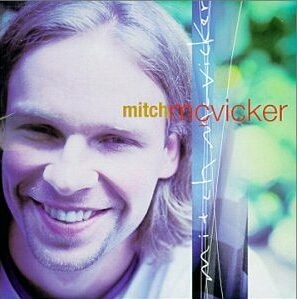 Mitch McVicker AUGUST 2005 Interview Random Bible Verses! Mitch first cd cover.. Mitch Another Happy 4th of July! mitch mcvicker on the road pic Mitch Happy 4th of July! Music Review of the Project: shut that boy up! Oh Those Lyrics Article.. the wonder of first lines..
My first Mitch Concert ~ by Cate! the Rich Mullins Wowable Link! I rejoice that You have brought me to this spot, this day. Yet, I count everything as trash that I might gain You, or, rather, as Paul goes on to say in Philippians...be found in You. Compared to You, it's all trash. I have been given much. I have even achieved some things. But I won't look back. No, I will move forward in faith...towards the goal (Phil. 3:13,14). What is the goal? The goal is to be like You. That means sharing in your sufferings and being conformed to Your image. Compared to You it's all trash. I will no longer be infatuated with this world. For, what is so enticing about trash? No, i will be content. If i strive at all (and I am sure I will. It seems to be in me), I will strive forward to grab hold of Life...to grab hold of the Promise. And hang on to all that You do, and have done, to make it available and bring it about. I won't look back...at the bad or the good. Rather, I will live in the now. I will live in the present. I want to live in Your presence. For everything that is good about me comes from knowing You and identifying with You (yes, including sufferings...maybe especially sufferings). That happens in the present, in Your presence. Now, all of my striving doesn't come from the fact that I have achieved any kind of righteousness. It's not because I have attained righteousness on any level. Quite contrarily, I seek to grab hold of the gift that is offered and make it my own...just as Jesus has made me His own. As I strive, I will empty and free my hands so that they can be opened up to You to receive. From now on...from the present, forward...I want to let go of all I have known and said and grab hold of what you give. I hope all of you had a good Christmas and that you are having a good start to 2007. I wanted to drop you a line and update you on what has been going on and my 2007 plans. 2006 was a full year of concerts for me. I got to do what I believe I need to be doing. I did over 90 concerts in 27 states and had the opportunity to try to do what I could to direct people's attention towards Jesus. It was a blessing to travel with wonderful friends and amazing musicians. All the way along the road, I was able to meet great new people and rekindle many friendships. I was able to watch my daughter, Brooklyn, grow and "become" during her first year of life. This definitely put a new spin on leaving home. I tried to see to it that I wasn't messing around when I left...and I really tried to make sure I was doing something good and of value. Now, after much prayer, I am taking some time away from doing concerts during the first half of 2007. I have been hitting it pretty hard the past three years, and doing over 300 concerts has taken a toll on me. It has become evident to me that I need to step back and spend some time with my family. I am also trusting the Lord to use this time to refresh and renew me. These are all just my plans (who knows how the Lord will work? ), but I have every intention of coming back better-than-ever in the second half of 2007, and doing a full slate of concerts in support of the release of my newest full-length CD. I know I will never regret taking this time away, for the sake of my family, myself, and the ministry I get to be a part of. It seems to be especially important with Brooklyn going through such a formative period. It is my intention to discover all the life that is beyond doing concerts and recording CDs. While that life is very fulfilling, I think it is time to "move the couch" for a while. When you move a piece of furniture, it takes a while for the ruts, that have been long-worn into the carpet, to go away. The tracks we have laid never seem to go away until we make the move. It just takes some time for the floor to become unscathed and open once again. I am praying I can become more and more open and that I can make myself available to whatever the Lord is doing, in this present moment, and with whatever awaits around the corner. I am wanting to pay attention, put up my antennas, and allow for enough time to get myself out of the way of what is going on. I have been home for 6 weeks, and it has been a blast to get to spend an extended amount of time with Paula. Nobody is more supportive of me than she is, but all the travel, concerts, and time away have inevitably effected our life together. No matter how loving, understanding, and supportive of each other we are, our relationship is effected when I am in and out for a combined 200 days a year. Now, my support of her can take on more of a tangible role as she teaches a full day, every day; teaches night class twice a week; and raises Brooklyn, Jordan, and Luke. I am grateful to get to be around Brooklyn as she develops more and more of a personality. I 'm learning that it is the little things...feeding her, changing her, wrestling with her, laughing with her, and playing "ball" with her...that all add up to life. And, it's a life that I don't want to miss out on right now. Thank you for your prayers and support...it means the world to me. I look forward to seeing you on down the road at a concert in the second half of 2007. Until then, remember that you are guided by love and remember to attack life with the kind of persevering faith that comes for a personal connection with the mysterious and ever-gracious Spirit. ~ What would you tell someone if they ask you why you have faith? Exclusive Brad Layher Interview! ~ When did God first impact your life? Exclusive Joe Curet Interview! ~ What path is life leading you on in the near future? VISIT THIS LINK FOR CONCERT WITH RICH..